Light and cool - perfect for kids! 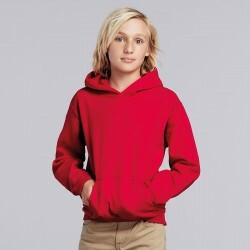 The Fruit of the Loom Kids Lightweight Hooded Sweatshirt is manufactured using a thin cotton and polyester mix, ensuring cool and comfortable wear. 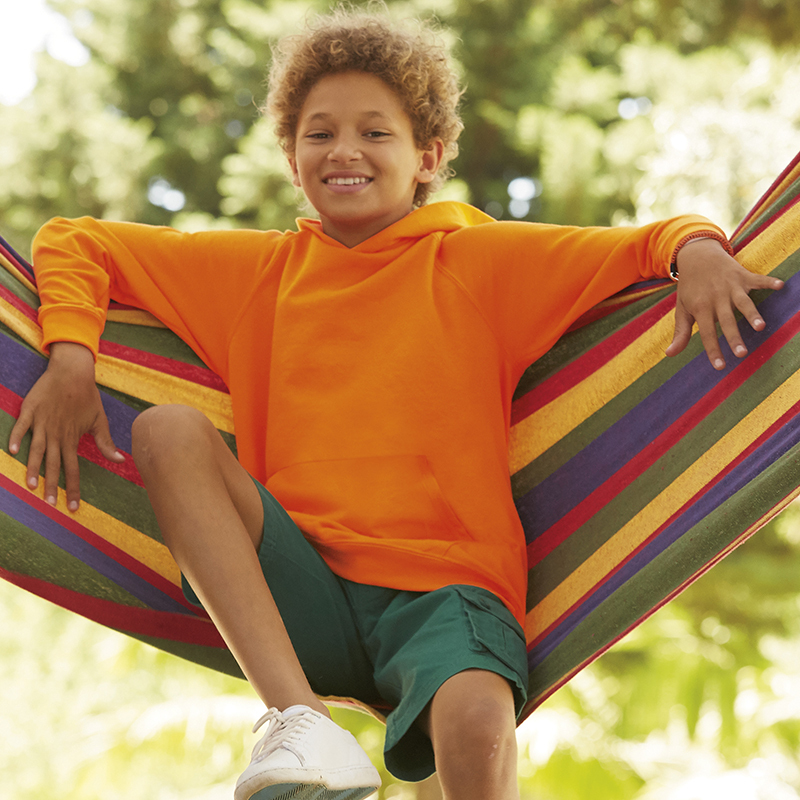 Cut in Fruit of the Loom's popular kids fit, which is designed for comfort and ease of movement, this hoodie will soon become a favourite! 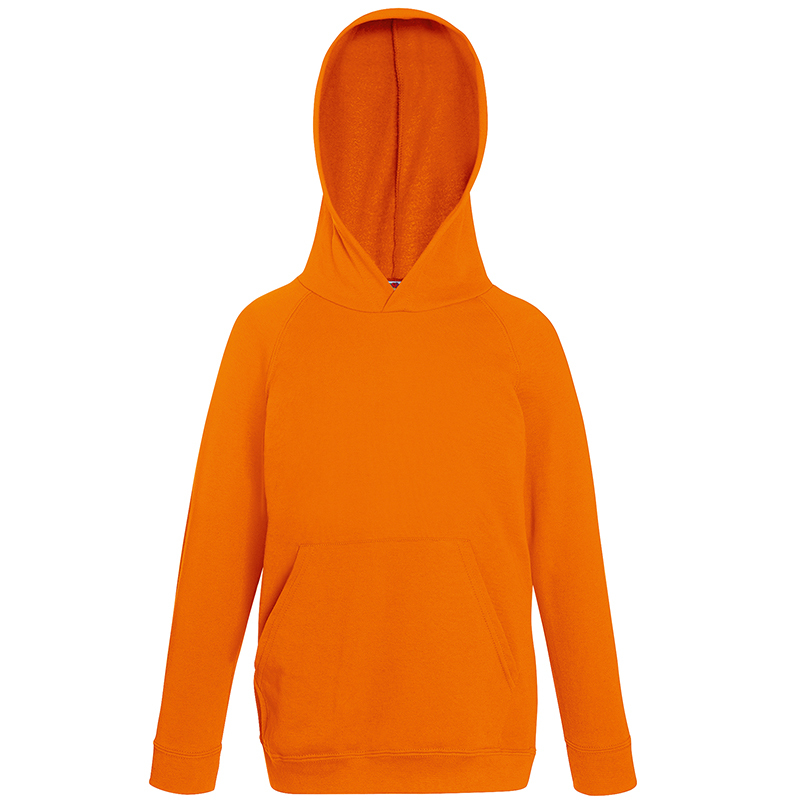 Personalise the Fruit of the Loom Kids Lightweight Hooded Sweatshirt to add some personality to this hoodie. Check out our full range of hoodies here. 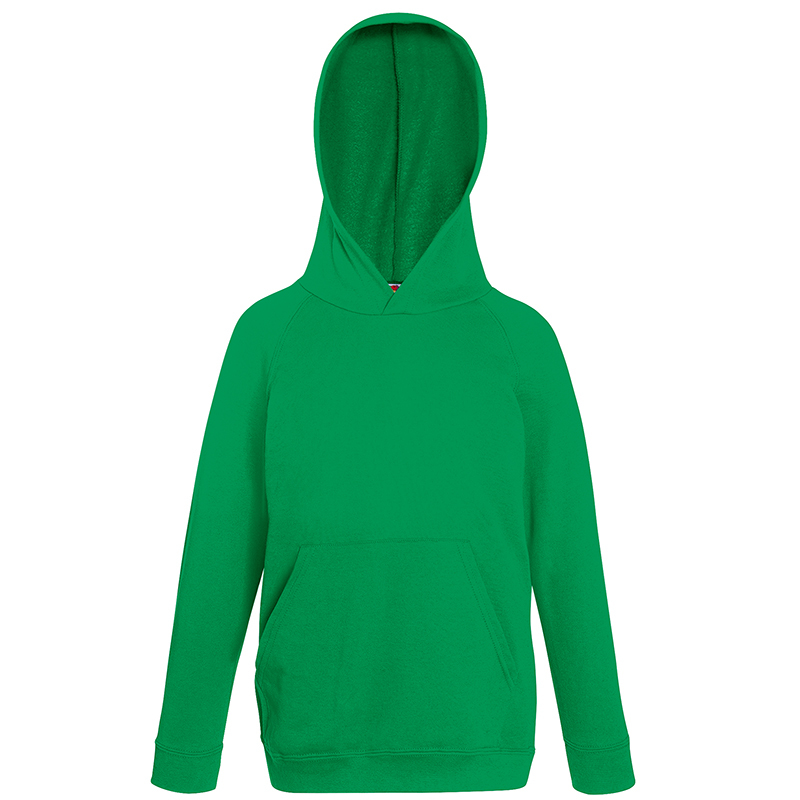 Double fabric hoodSelf-coloured flat drawcordProduced using Belcoro® yarn for a cleaner printing pro..
Double-fabric hood without drawcordWaist and cuff in cotton/Lycra® ribFront kangaroo pocketFabric80%.. This bold hooded top for kids is ideal for sports and dance classes. Designed with comfort in mind, .. Single Jersey back neck tapeNeck, waist and cuff in cotton/Lycra® ribRaglan sleeves with twin needle.. 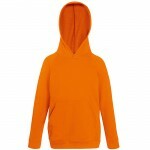 The perfect basic hoodie for customisation.This is the essential lightweight hoodie, cut in Fruit of..